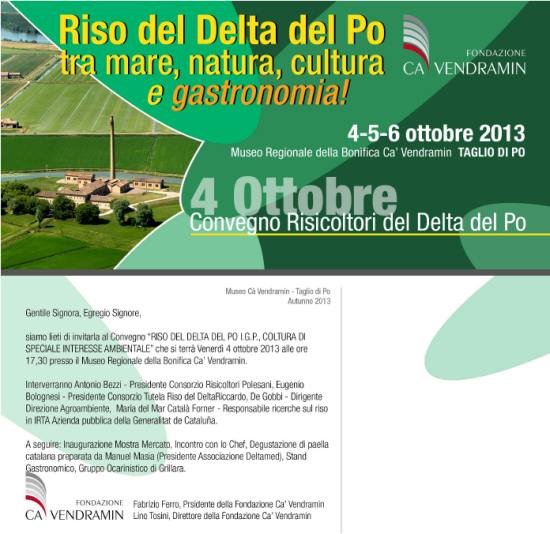 On October 4-5-6, it was held at the Regional Museum CA’Vendrami (Rovigo) Italy, a gastronomic fair “RISO DEL DELTA DEL PO TRA MARE, NATURA, CULTURA E GASTRONOMIA, in which the rice has been the main protagonist. 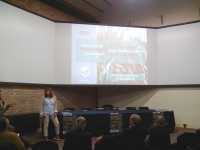 The Assossiation of Deltamed has participated making a presentation by Mrs. Maria del Mar Català Forner, Researcher responsible of the Rice in IRTA, a public company owned by “Generalitat de Catalunya” and “DELTAMED”. 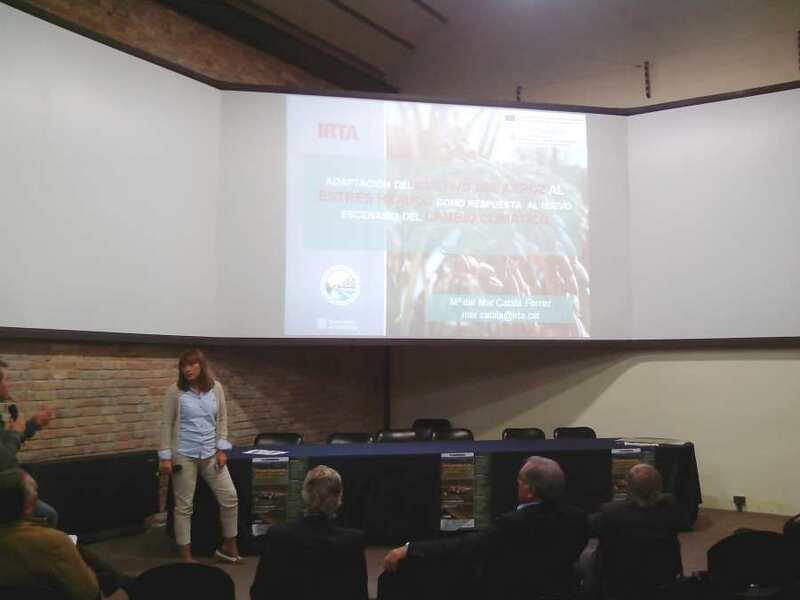 In the presentation there was exposed the work done in the project “Rice adaptation to water stress in the Ebro’s Delta, as an answer to the new scenery of the climate change”. A tasting paella was cook by Mr. Manel Masia Marsa, President of Deltamed. 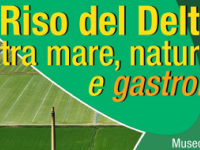 We should take into consideration that our deltas, lagoons and wetlands have been and they still are actually, a resource that has alleviated the famine of our people in the course of the centuries, becoming nowadays in areas of high productive interest, sanitized and with a high tourism and ecological value. Although in our area we have plenty of products, all of them with an unequaled importance, I would like to focus our vision on a single point, the rice crop in this area. The rice consumption as well as his trade are differentiated by the different varieties of the rice and their quality. This is one of the main reasons that make so important the work done in the research of new varieties resistant to different types of pests and especially to drought, which will be the challenge of the future. Through our Association, we are striving for the EU declare the rice as a "CROP OF SPECIAL INTEREST IN THESE AREAS OF HIGH ECOLOGICAL VALUE".